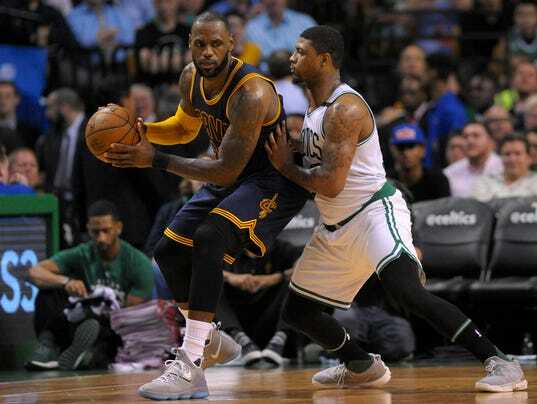 BOSTON – Give LeBron James and the Cleveland Cavaliers 10 days off. Give them one day off. Give them no days off. Road game, home game, it doesn’t matter. Play the game in a park. Play it in a sold-out arena. Right now, the Cavs will win whenever, wherever. Following a 10-day layoff between series, Cleveland hammered the Boston Celtics 117-104 Wednesday in Game 1 of their Eastern Conference finals series. The Cavaliers seized home-court advantage quickly and easily. They led 30-19 after the first quarter, were ahead 57-31 late in the second quarter and pushed their lead to 71-43 early in the third quarter. Game 2 is Friday in Boston (8:30 p.m. ET, TNT). Wild-Card Lineup Is Set for the Mets. Now Comes the Game.